Home / Newsroom / "Atos announces winner for the 2013 Global IT Challenge for Connected Cars applications"
Atos, an international IT services company, announced the winner of its 2013 IT Challenge; an annual competition that Atos started two years ago to inspire innovation amongst the future generation of IT professionals. This year's competition is led in partnership with car manufacturer Renault. The winning team will be given the unique chance to see his project embedded into Renault R-Link development process. Team “Evergreen” from University of Hagenberg, Austria, was today announced as the 2013 IT Challenge winner for their App helping managing traffic in urban areas with traffic lights. The team was presented with the gold medal prize by Thierry Breton, Chairman and CEO of Atos, at an awards ceremony, which took place at Atos' Headquarters in Bezons, Paris. The theme for this year's IT Challenge was ‘Connected Cars' and attracted 55 entries from teams of up to five students, from a range of universities worldwide. Teams were encouraged to develop innovative context aware applications designed specifically for connected cars, that can be used anywhere, anytime and on any device to add value to a business or an individual. The topic is a new, and not widely known yet, therefore forcing students to be very creative. The proposed ideas were in line with the current status of research (universities, car-manufacturer's R&D, Atos R&D) addressing safety and driver's convenience. Most of the teams chose to address the driver's mobile phone, instead of relying on integrated hardware of the car, and managed to propose fully working services. Chosen by the IT Challenge judging panel, “Evergreen” from University of Hagenberg Austria beat two other finalists and won the gold medal; “Drivebuddy”, from the same university, won the Silver Medal and “Rides”, from INP ENSEEIHT of France, the Bronze one. The shortlisted teams were paired with an Atos Challenge coach from Atos' Scientific Community – a network of employees recognised for their outstanding scientific minds. All three finalists team members were given the chance to apply for an internship with Atos. Each member of Evergreen also won a trip to Sochi. Evergreen's App scored top marks in a range scoring categories including benefit for end-users and business partners, technical quality and wow factor. Each year Atos recruits around 7,000 engineers globally. The IT Challenge forms part of Atos's Wellbeing@work initiative and supports its objective to encourage and develop talent. The jury, which was chaired by Gilles Grapinet, Senior Executive Vice President at Atos, included Philippe Lemontey, Connected Services at Renault; Jean-Marc David, New Mobility & Services Department Leader at Renault; Thilo Koslowski, Vice President & Distinguished Analyst Automotive, Vehicle ICT, Mobility Industry Advisory Services at Gartner; Professor Giovanni Pau, Smart mobility Chair holder at University of Pierre et Marie Curie in Paris; Pascal Pediroda, Connected Vehicles Product Manager at Atos; Marc Meyer, Atos Executive Vice President, Talents & Communications; Hubert Tardieu Special advisor at Atos to the CEO; and Grégoire Sénéclauze, member of the Scientific Community for the IT Challenge. Evergreen reduces a car gas emission and the time the driver has to wait in front of red traffic lights, by suggesting the best speed for phased traffic lights, based on the current navigation route. The reduced emissions allow cooperation with city and state governments. Gathered data help governments to improve road planning and reduce road building costs. The App's interface was kept really simple as it is intended to be used while driving, so it is clear and visible to the driver. The code is well documented and the architecture is strongly designed. The team was able to show a working app fully integrated in a car. The team was also in contact with 2 cities in Austria who are interested in their app. The jury was very impressed by the way the Evergreen team managed to take care of the technology, the business as well as the human aspects of their app. The entire idea of the project is to assist the user during driving by using the capability of the smartphone to track the surrounding environment of his car. The system consists of features like Lane detection, Bump detection, Traffic sign detection and the GPS tagging of this environment. The detection of traffic signs and lanes is done with the help of computer graphics algorithms. The visual design meets perfectly the constraints of an app used during driving, showing only most important events. Even though some of the features are not completely new to the car industry this team managed to integrate it into a mobile device, this way making it available to not only the premium cars. They made their slogan: Safety is not a question of budget reality. The team supplied their app with good documentation, including car installation guide. A Website and android mobile app were developed. The aim of Rides is to develop social carpooling to cover intra-urban rides. The users of Rides will be able to find or offer drives in real-time, which will help them significantly cut their transport costs while being environmental-friendly. The jury was impressed by the technical implementation of their solution. The team also created a fully customized platform this way allowing companies to create their own car-sharing environment and for this they were already in contact with a potential client. The final shortlist consisted of 15 entries from 25 universities who were invited to present to the judging panel. Atos Challenge coaches helped the shortlisted teams to take the ideas through to a fully functional proof of concept. The Challenge coaches also provided help with technical and business insights, as well as advice to on presentation skills. More information about the contest (rules, prizes, partner universities, the Coaches & the Jury, and connected cars) see www.atositchallenge.net. 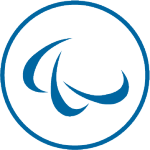 Atos SE (Societas Europaea) is an international information technology services company with annual 2012 revenue of EUR 8.8 billion and 76,400 employees in 47 countries. Serving a global client base, it delivers hi-tech transactional services, consulting and technology services, systems integration and managed services. With its deep technology expertise and industry knowledge, it works with clients across the following market sectors: Manufacturing, Retail, Services; Public sector, Healthcare & Transport; Financial Services; Telecoms, Media & Technology; Energy & Utilities. Atos is focused on business technology that powers progress and helps organizations to create their firm of the future. It is the Worldwide Information Technology Partner for the Olympic and Paralympic Games and is quoted on the Paris Eurolist Market. Atos operates under the brands Atos, Atos Consulting & Technology Services, Atos Worldline and Atos Worldgrid.